It’s a good question, and here are my thoughts on it. I’m going to start from the bottom on this one. The “weighing more” comment. As runners we sometimes tend to stay away from the weight room because the thought of carrying our new Mr Universe look-a-like bodies over any distance that we have to run, let alone a 42k or ultra, makes us tired just thinking about it. Short distance sprinters, 100m and 200m, are a little different. They need to generate huge amounts of power and force in order to generate the highest speed possible in the shortest amount of time. In the 80’s and 90’s you saw this been taken to the extreme with sprinters walking out onto the track looking like they were about to perform an olypmic lift not a sprint. Sprints coaches have since realised that it’s all good and well to have all this muscle and additional mass, but if you can’t actually carry it over the distance any faster than what you could without it, then it kinda defeats the point. These days, the goal with sprinters is to develop as much strength and power as possible with the least amount of muscle hypertrophy (muscle mass). Anyway, back to the lean, mean distance runners. Unless you’re a complete gym-junkie and spending almost as much time in the gym as you do on the road, which is highly unlikely, you’re not going to be putting on weight. Of course what you’re doing in the gym matters too. If by some chance, I totally doubt it, you’re spending 10 hours a week in the gym, doing crunches, planks and 5kg weights, you’re not going to be bulking up. Quick question. How does one become good, or rather, how does one become the best that you can be at a sport? Answer, you spend more time in the gym…..NOT!! It doesn’t matter what your sport is, be it, running, cricket, AFL, hockey, soccer, tennis, golf, etc, etc, in order to become good or the best that you can be at a particular sport, you need to spend time training in that sport. This in coaching terms is known as the Principle of Specificity. In other words, if you want to be great at a sport you need to specialise in that sport, and that means pouring hours of your time and energy into that sport. There are so many elite athletes who could’ve represented their country in a number of sports, but in order for them to become the best in a particular sport they have to ultimatley choose to focus and specialise in the one sport. When it comes to running, in order to become the best that you can be at running you need to, well, run. This means that we never sacrifice a run or cut a run short just so to get into the gym. There is however an exception to this which I’ll cover a little lower down. If you’re still, let’s say, 6 months from your big race day, then getting two or 3 gym days, time permitting, into your week is absolutely ok. But, once you hit the main phase, the big build-up phase, and that for a marathon and ultra is usually 8-10 weeks from race day, then you’ll find that you probably need to start cutting back on the gym work a little. During the build-up phase you’re throwing a lot at the body and you’re expecting it to perform a number of challenging sessions on tried and fatigued legs. It makes sense then to cut back the load and volume you’re throwing into the legs in the gym so that you don’t overload and end up injured. During this phase you would simply use the gym work to keep an element of strength endurance to support what you’re doing on the road. But does Gym work add value? Adding gym work into your weekly training is a good idea for a number of reasons. 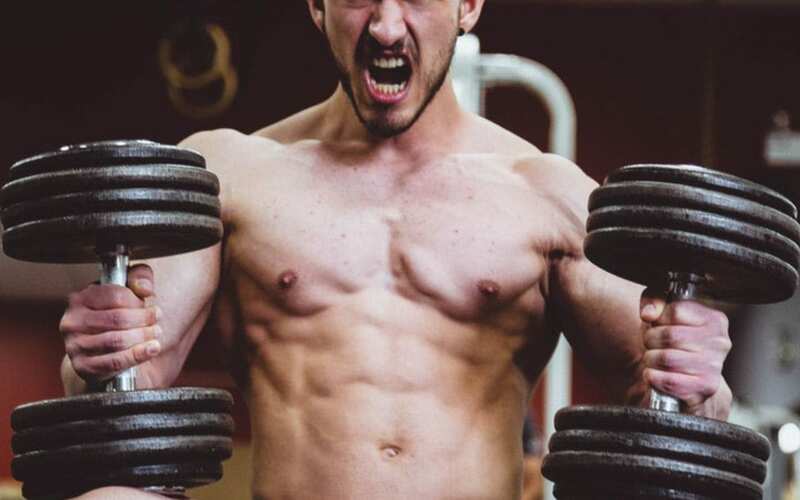 Gym work will assist in burning off more body fat, although you’re probably going to burn heaps more fat through your running, so I certainly wouldn’t be doing gym for this reason alone, but it will help. Gym work can add an element of strength endurance into your training which afterall is exactly what you’re trying to elicit through the hours and km’s of running training. By way of example, it would look something like this: Lying leg curl: 3 sets x 20 reps per set with 25 secs rest between reps and 5 mins rest between sets with weight at 40% of the maximum you could lift if you were doing a single all out rep. The results suggest that strength training appears to assist direclty in the prevention of soft tissue injuries of the hamstrings, ACL injuries, and front of knee pain, and showed a reduction in time lost due to injury, in order we recovery quicker. Gym work, actually, I hate the term “gym work” it’s way too open ended and could mean anything from doing a few planks to squating 100kg, let’s always refer to what we’re talking about here as stength work. Strength work has a number of benefits and positives for runners. I would encourage you to start adding strength work to your weekly routine, however, do so in discussion with your coach because what you add, when and where you add it is important so as not to have any negative effects on your running performance. Also, make sure you know how to properly do the exercises you’re doing, we don’t want any tweaked muscles as a result of poor form when lifting a weight or using a machine. If you’re unsure, ask one of the gym staff members to show you how to properly do the exercise. Then lastly, like anything new added into a program, build up slowly and gradually, no point smashing yourself to pieces on your first gym appearance and then having to walk with straight legs for the next 4 days! !